The Chalk It Up Series is a great wool applique on cotton project to display in a frame or bind it to hang any where you'd like a touch of the popular chalkboard look! It measures 16in x 20in. 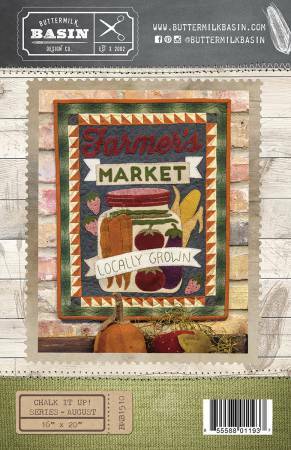 The August design features a Farmers Market theme with summer produce that is in abundance at this time of the year. Shipping Rates are based on the purchase total.